Have you ever asked yourself, “What would it take to live my dreams?” Do you find yourself imagining your future: the exotic places you wish to go, the businesses you wish to create, the relationships you are meant to have?” Do you often wake from sleeping, wishing you could remember your dreams or understand what they mean? 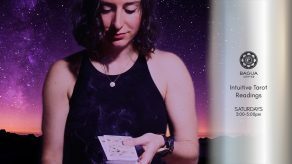 If you enjoy sharing circles, eye gazing, restorative yoga, meditation, breathwork, journaling, sound baths, and drumming, then this 4-hour immersion is for you. “Dreams Into Reality” is a journey into the heart of one’s Essence; the symbolic “gold” that is uncovered by sifting away the debris of stress, worry, doubt and fear. This is a journey into pure relaxation and stillness-the point at which inspirations and solutions effortlessly present themselves. Experience yourself at your Center. Spark the flame of synchronicity (meaningful coincidence) that comes from feeling “really good;” being “in the flow” and in Alignment with source energy. Receive the benefit of reflection and feedback from an experienced and caring facilitator. Become an expert listener by “holding space” for others. For content creators, this immersion may provide clarity around your current projects-even inspire your “next big thing.” Avail yourself of the opportunity to receive visions and practical tools to turn your Dreams Into Reality. Please dress comfortably; bring a journal and pen, water, a healthy snack, an open heart and mind and willingness to share. Be open to miracles! 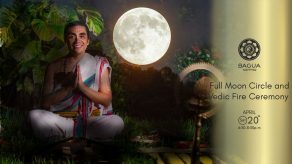 Fernando Subirats is a practitioner at the Bagua Center and facilitates the monthly “Drumming & Dreaming” two-hour drumming meditation workshop. 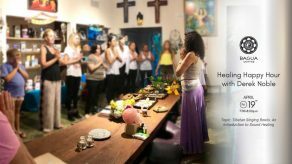 Out of a desire to expand the experience, Fernando created the four-hour immersion “Dreams Into Reality” to delve deeper into the feelings of calm, being centered, happy, energized and aware. This emotional recipe paves the way for meaningful coincidence and mindful co-creation. A dream journey guide, Fernando has held a close relationship with the Dreamtime since childhood. As a musician, Fernando has been drumming for most of his life, having played in various bands and studio projects with both local and renowned artists. In 1997, as a young adult, he traveled to India to study the art of Tabla drumming with several great masters. During such time he also developed a meditation and yoga practice and experienced many occurrences of lucid dreaming and hyper synchronicity. His meditation workshops were born out a desire to fuse his musicality and spirituality.